A favorable negotiation involves your listing agent working with the buyer’s agent (or directly with the buyers in some instances) to arrive at an agreement not only price… but also terms and conditions, such as will the seller provide concessions for buyer closing costs, will the flat screen television in the great be included in the sale, the time of possession, etc.. As with any bargaining session, the discussion can get bogged down; but a professional knows how to avert problems. It’s about working through any potential sticking points to bring the talks to a mutually satisfying conclusion. This is where most deals fall apart, so it’s best not to tackle this oh-so-important business dealing without the help of a skillful negotiator. Having an expert negotiator manage the sale of your home is just another reason to work with an experienced real estate professional. Make sure your listing agent offers; capable representation, objective counsel, and caring guidance for this process. When you work with our team, you have a guide who will understand your concerns, expectations and needs not only in negotiation, but throughout the entire home buying process. S/he will be able to negotiate on your behalf; after all, at stake is your best interest and your peace of mind in knowing you got the best deal possible on your new home. For those who aren’t well-versed in the fine art of negotiation, selling your home, especially setting an appropriate list price for your home (how to price a home), can be scary. Here are a few tips. Sellers should go and actually see their competition. See what these homes have to offer including: size, amenities and features, level of finish, condition, etc. Buyers shop by comparison and it’s critical that your home be priced in accordance with the competition. This will help to give you a realistic idea of your asking price and will aid you during negotiations when the buyer references the home down the street that includes a forth bedroom but is located in the basement and lacks a closet (and shouldn’t actually be considered a bedroom), etc. Doing price research as you prepare to sell your house is crucial for those hoping to sell a home quickly and for top dollar (the two are not mutually exclusive). Price it too high and you may not attract any buyers. Price it too low and you won’t get the true value out of your home and will leave money on the table. Homeowners often think that they’re going to name a price and then go back and forth 10 or 15 times with a buyer to find a compromise. In fact most successful negotiations are completed in two or three counters, and it’s critical that sellers list their home at the right price from the start. First-time sellers can start the research process by asking their agent to use a multiple listing service to determine prices of comparable homes in the area (prepare a Comparative Market Analysis) and by taking the time to tour neighborhood homes on the market. Once you have an idea of what other homes in the area are selling for, it’s time to research the larger real estate market. Real estate is local and varies a lot depending on your geographic location. While it might be a Buyer’s market in one part of the country (or a specific town or community), the market may be in equilibrium or it may be a Seller’s market in another. Understanding whether you live in a buyers’ or sellers’ market comes down to knowing how fast homes in your area are selling and whether the sellers were inundated with home offers or simply settled on the single offer they received after marketing the home for 90+ days. Before you list your home, ask your real estate agent for information on current market conditions and home sales in your area. Prospective sellers can also give us a call or email us directly to request information on the climate of the market and/or homes that have recently changed hands. Asking questions is critical to understanding and overcoming obstacles during negotiations. It also sheds light on motivating factors for both sides. Asking key questions on your side prior will help you prepare your team for firm, clear and concise reasoning when you are under fire during a negotiation. Who, What, When, How and Why: Why do they want to buy your property? Why do they feel your home is worth $10,000 less than the comparable home down the street that sold three months ago? What do they really want? What do they really need? What is their current situation, that is do they have a home to sell first or is their current home in contract and they need to find a new home quickly? How are they planning on funding the purchase, in cash, with a FHA, conventional or VA Loan (see here for the Fees You Must Pay When Selling Your Home to a VA Buyer)? What amount are they pre-approved for? Why do they require seller concessions for closing costs? Negotiations are about problem solving an agreement that has two sides of specific desired outcomes. Can you really know how to best solve a problem without first asking what it is and what’s most important to the other party? Skilled negotiators often overcome obstacles by asking key questions that then lead them to use applicable persuasion tactics that will motivate the other party to take action. If you continue to hit road blocks start asking questions and you will more than likely get to the root of the problem and find a way to overcome it or a way to walk away knowing why. One of the best ways to get what you want is to make it easy for the other party to say “Yes”. “Yes” is actually contagious. Start saying yes and it is hard to stop. 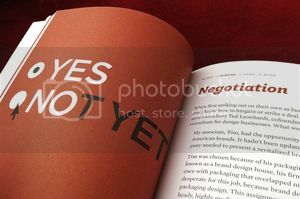 Starting negotiations with yes is a powerful way to get things off to a great start as opposed to the alternative which typically creates a hostile win-lose mentality. Starting with easy agreeable points helps make everyone more amicable and enthusiastic. Bumps in the road seem more readily overcome when people have been saying yes from the start and one feels like they are closer to their destination. If you are selling your property, know your absolutes and then say yes to everything else. Everyone wins in a negotiation when “Yes” is the first and final answer. I Win and You Lose: I only win once. You Win, I Lose: You only win once. We both Win: We both win many times. We both lose: Goodbye negotiations AND relationship. There is a big difference between Playing to win vs. Playing not to lose. Reframing your own goals in a negotiation from negative to positive will also have a positive effect for all parties making it easier for people to actually succeed in getting their needs met. After all does it really matter if the other guy gets his way if you also get yours? The key to successfully selling your home is to look beyond the price itself. “Everything is negotiable,” if the buyers won’t rise to the price that you’re asking, you can negotiate for other things like closing date, possession date (when you need to be out of the home), who pays the closing costs, home warranties, upgrades or repairs that the home requires, etc. You can also offer to sell the house “as-is”, without doing any repairs. By thinking of the home sale as a transaction with several different pieces, many of which can be adjusted to help the buyer and seller come to terms and an agreement that both can live with, the seller gains significantly more negotiating power.